Words of wisdom are like nuggets of gold when found at the right time. A little knowledge can go a long way. There is no one thing that can help you get smart. It is life itself and the lessons you learn each day that carry with them knowledge. The words of great men and women may carry a lot of wisdom, but they earned those insights over years or decades of experiences. 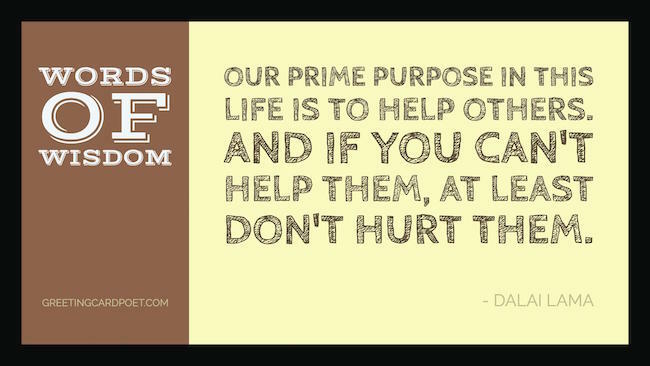 Some of your most important and life-changing lessons come from the harshest or hardest of experiences. The road to becoming a wise man or woman is marked with many obstacles and pains. 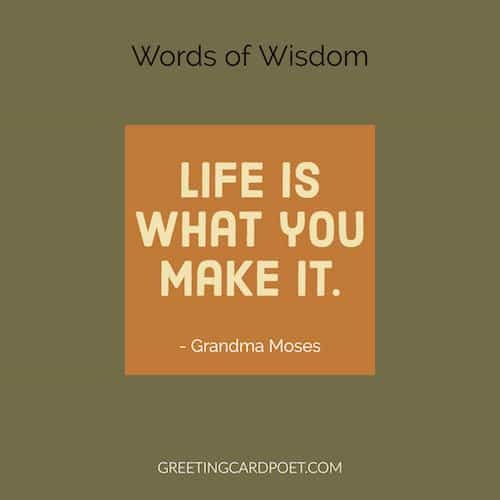 Here are some beautiful and funny words to live by that you can carry in your mind as you move ahead on the winding path of life. Giving up doesn’t always mean you are weak. Sometimes it means that you are strong enough to let go. A proverb is one man’s wit and all men’s wisdom. Even a fish wouldn’t get into trouble if it kept its mouth shut. Chairs were created because someone, somewhere, wanted to solve a big problem: sitting on rocks causes sore bottoms. The secret of life is to appreciate the pleasure of being terribly, terribly deceived. If your capacity to acquire has outstripped your capacity to enjoy, you are on the way to the scrap-heap. Do you know what a pessimist is? A man who thinks everybody is as nasty as himself and hates them for it. The trouble with the rat-race is that, even if you win, you’re still a rat. 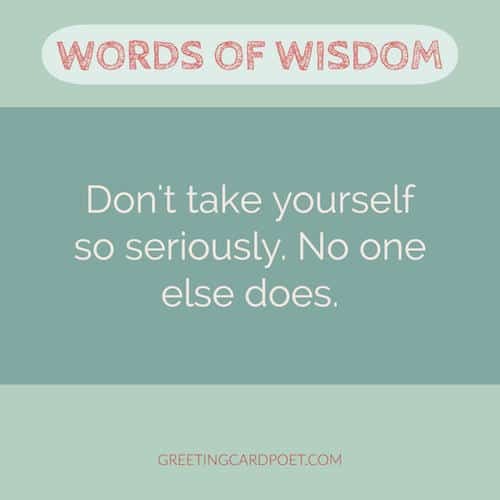 Humor oils the wheels of life and helps to keep it running smoothly. People only see what they are prepared to see. If you look for what is good and what you can be grateful for you will find it everywhere. In bad things be slow; in good things be fast. He who flees at the right time can fight again. 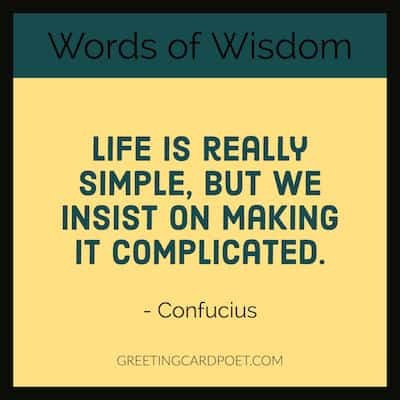 What does the word “wisdom” mean? Dictionaries define wisdom as accumulated philosophical or scientific learning, or good sense. It’s the accumulation of knowledge. Wisdom synonym include: sense, judgement, common sense, sagacity, judgement, knowledge, being wise, shrewdness and intelligence. He that respects himself is safe from others. Trouble shared is trouble halved. Speak when you are angry, and you will make the best speech you’ll ever regret. Some people seem to go through life standing at the complaint counter. To be stupid, selfish and have good health are three requirements for happiness, though if stupidity is lacking, all is lost. My father used to say, You would worry less about what people think if you knew how little they did. You have to have a darkness for the dawn to come. 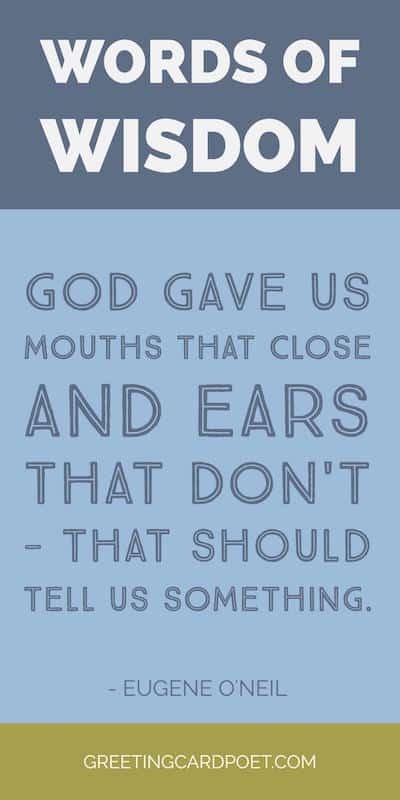 God gave us mouths that close and ears that don’t– that should tell us something. There are three constants in life…change, choice and principles. One head cannot hold all wisdom. That which does not kill us only makes us stronger. Nothing is impossible to the willing mind. 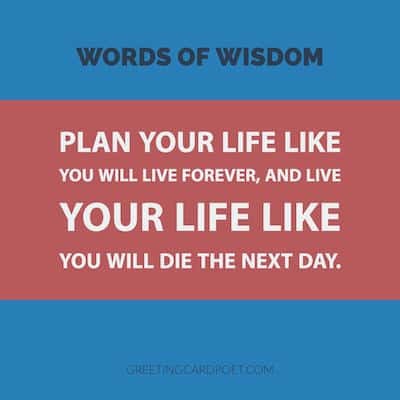 Plan your life like you will live forever, and live your life like you will die the next day. In the eyes of a child you will see…the world as it should be. If you have any recommendations for our pages, please let us know via the Contact page. Thank you o’ wise one.